Supreme is once again utilizing a fairly obscure sneaker for an upcoming collaboration, having just unveiled their take on the Nike SB Gato. With the Gato being a lesser known silhouette, we decided to dig into the history of the shoe to get you better acquainted ahead of Supreme’s August 30 release. The Gato was originally designed as an indoor soccer shoe, later adapted for skating. In 2011, Nike introduced the Nike5 Gato Street, a small-sided football silhouette for those who value both function and style. The upper featured a blend of suede and/or leather and embossed graphics, then paired with an XDR rubber outsole. The overall low-profile design, as well as the stitches at the toe, revert back to classic football shoes. 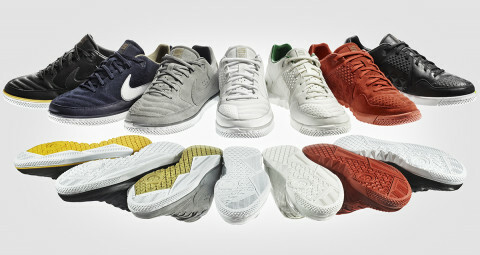 A year later in 2012 Nike Sportswear gave the performance-minded Gato a makeover in the form of the Woven Street Gato. The sneaker featured a more traditional upper of high-grade leathers, still boasting the original performance tooling below. With basket-style weave on the upper, in addition to an all-leather lining, the Woven Street Gato was a more luxurious variation. The Nike Lunar Gato II was introduced in Nike Football’s 2013 FC247 collection alongside the Bomba Finale II and the Elastico Finale II. Each shoe was designed to “provide a balance of speed, control, comfort and precision based on varying court surfaces,” said Nike. 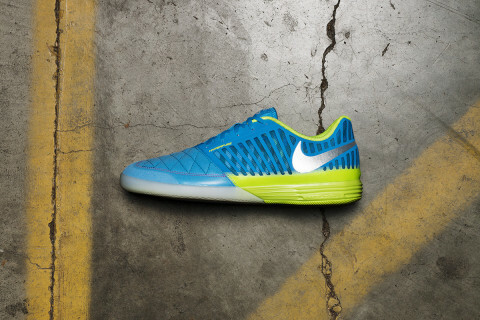 Specifically, the Lunar Gato II was geared towards a fast and dynamic game on all surfaces. The silhouette welcomed 33 fewer components than its predecessor, weighing in 16 percent lighter. Soft leather was used on the upper in order to improve the ball-to-foot feel and to also eliminate a break-in period. A contoured sock liner then improved the anatomical fit, while fused mesh panels locked down the midfoot to maximize lateral support. Also in 2013, Nike SB made a major push for the Lunar Gato as a skate-ready sneaker, as the Swoosh continued to bring its Lunarlon technology to skateboarding shoes. 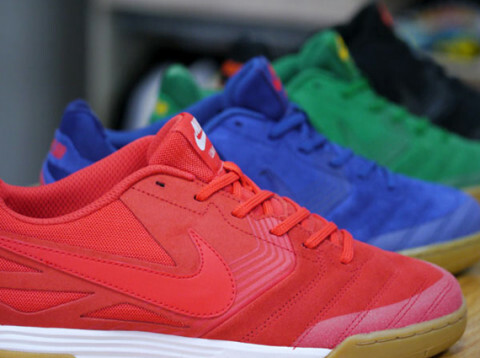 During that year and in 2014 the label launched a number of Lunar Gato colorways, including country-specific renditions surrounding the World Cup in Brazil. In 2014 multiple Nike SB Lunar Gato collaborations surfaced, including a joint effort with Oregon’s Poler Outdoor Stuff, as well as OG skateboarding magazine Thrasher. Since 2014, the Gato has been seldom used, and you won’t even find the sneaker on Nike.com. The shoe is, however, sold at various specialty retailers across the globe. Regardless of infrequent releases, you can certainly expect the Supreme x Nike SB Gato to be in high demand. For more surrounding the anticipated collaboration, follow here. Next, be sure to check out Supreme and Nike’s collaborative history. Exactly what’s With the Old West Style at Gower Gulch Shopping Mall?